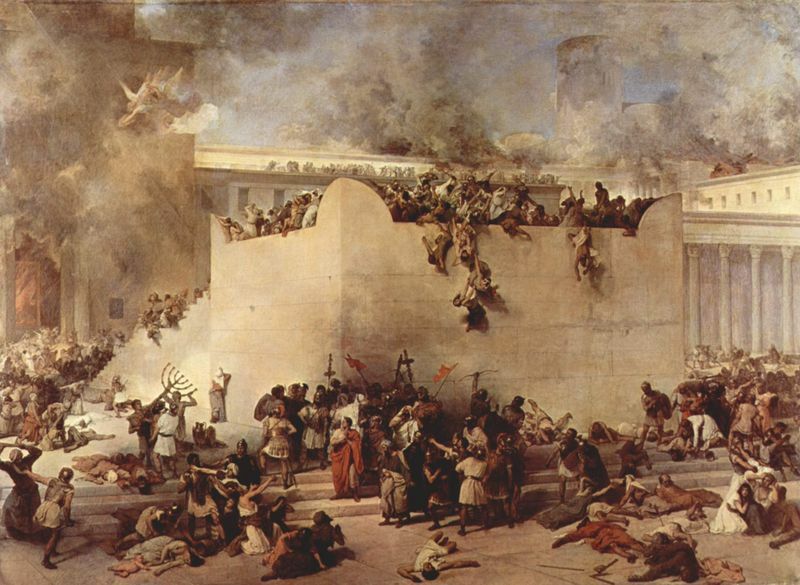 It wasn’t Jesus who destroyed the Temple, it was the Romans in 70 AD. And Jesus hasn’t bothered rebuilding it, either. Christians claim the first event physically happened, and the prophecy was fulfilled. Because the second event clearly didn’t happen, they claim the words were metaphorical and therefore the second prophecy was also fulfilled. This technique allows anyone with a good sense of metaphor to be 100% accurate in predictions about anything, regardless of the outcome. Checkmate, atheists! OK, so that last one is a little flippant, but that’s how the redefining works. Check out the prophecies of Nostradamus, and how each generation thinks all his verses apply to themselves. It’s a fascinating human trait. When people want to believe something, they will mangle grammar, logic and plain common sense to satisfy themselves. But you don’t have to listen to them. Review the facts, and work it out for yourself. This entry was posted in History, Religion and tagged 100% accurate prophecy, biblical prophecy, Christianity, destroy Temple, failed prophecy, Gospel, Jesus, rebuild Temple, Romans, Temple. I was close to that idea in interpretation #4, but I think you’ve said it better. Hm… do I bother editing it? If so, the credit is yours! “But He was speaking of the temple of His body. And John was written a century after the purported events to explain why the things the believers thought would happen didn’t happen. So? right. there are a lot of contradictions in the 4 books.